Jennifer's 365 Project: 499/365 - Game Night! Thursday after work Chris's friends Dan and Jeff came by for game night. 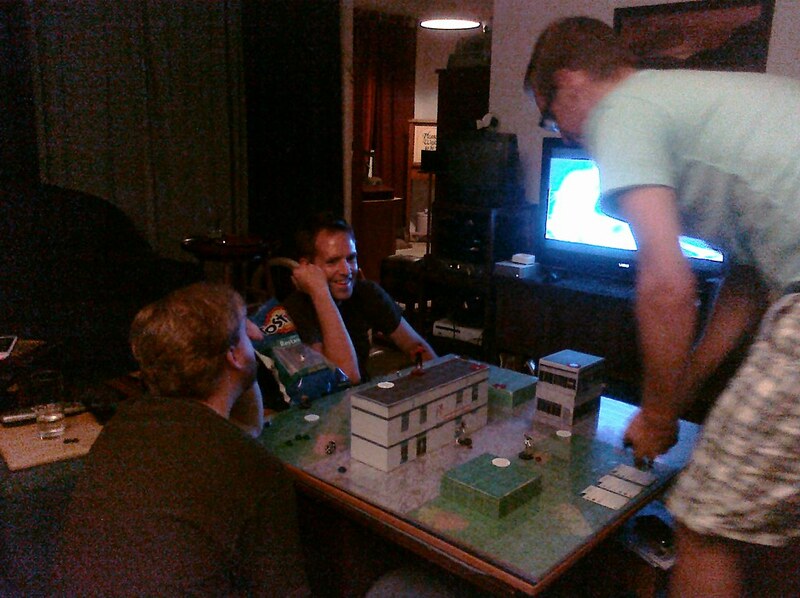 At our place the guys usually play HeroClix while enjoying an awesome nerdy movie. So for tonight we had Batman: Under the Red Hood and the classic TRON later. Since I dont usually play HeroClix (ok, I've only played once with Chris) I took the time to update the firmware on my Eken M001 tablet. The latest firmware lets you access the Android Market, which is awesome, though there are some known issues with downloading applications. It was a good night and great to see Dan and Jeff again. Leki even kinda sort of behaved this time. 481/365 - Robotech...Macross...Which Is It?